The term ‘Track Cycling Acadmey’ or ‘us’ or ‘we’ refers to the owner of the website whose registered office is in Queensland Australia. The term ‘you’ refers to the user or viewer of our website. Your use of any information or materials on this website is entirely at your own risk, for which we shall not be liable in any way. It shall be your own responsibility to ensure that any products, services or information available through this website meet your specific requirements. Track Cycling Academy can not and does not make any guarantees about your ability to get results with our ideas, information, programs, tools, or strategies. What we can guarantee is your satisfaction with our training. We give you a 60-day 100% satisfaction guarantee on the products we sell, so if you are not happy for any reason with the quality of our training, just ask for your money back. You should know that all products and services by our company are for educational and informational purposes only. Nothing on this page, any of our websites, or any of our content or curriculum is a promise or guarantee of results, and we do not offer any legal, medical, tax or other professional advice. Use caution and always consult your doctor and your cycling coach before acting on this or any information related to a lifestyle or training change. You alone are responsible and accountable for your decisions, actions and results in life, and by your registration here you agree not to attempt to hold us liable for your decisions, actions or results, at any time, under any circumstance. Academy of Cycling Pty Ltd trading as Track Cycling Academy (“Track Cycling Academy”) office is open Monday to Friday 9.00am – 5.00pm Brisbane, Australia time. We close for all government observed holidays. Your Track Cycling Academy membership, which may start with a free trial, will continue month-to-month unless and until you cancel your membership or we terminate it. You must have Internet access and provide us with a current, valid, accepted method of payment to use the Track Cycling Academy service. We will bill the monthly membership fee to the payment method used when signing up unless updated or changed by subscriber. You must cancel your membership before it renews each month in order to avoid billing of the next month’s membership fees to your Payment Method. Trial Subscriptions: Your Track Cycling Academy membership may start with a trial. The trial period of your membership lasts for 30 days, or as otherwise specified during sign-up. For combinations with other offers, restrictions may apply. Trials are for new and certain former members only. Track Cycling Academy reserves the right, in its absolute discretion, to determine your trial eligibility. Monthly Subscriptions: You have THIRTY (30) Days from the date of the original purchase to request a refund for your Track Cycling Academy monthly subscription. Any refund request after the THIRTY (30) DAY time limit will not be processed. You may cancel at any time after the initial THIRTY (30) Days has passed. Yearly Subscriptions: For yearly subscription purchases, you have THIRTY (30) Days from the date of the original purchase to request a refund for your Track Cycling Academy yearly subscription. Any refunds requests after 30 days will be prorated by the amount of time remaining under the original yearly subscription period. Example: If you purchase a yearly subscription in January of this year and you decide you want a refund 6 months from the purchase date, you’re prorated refund would be 50% of the purchase price. Individual Coaching Program Subscriptions: For athlete's being coached on a one on one basis within our Coaching Program, the minimum payment term for each athlete is 3 months. Following the end of the first 3 month's, athletes are entitle to cancel at any time giving one month's notice in writing. 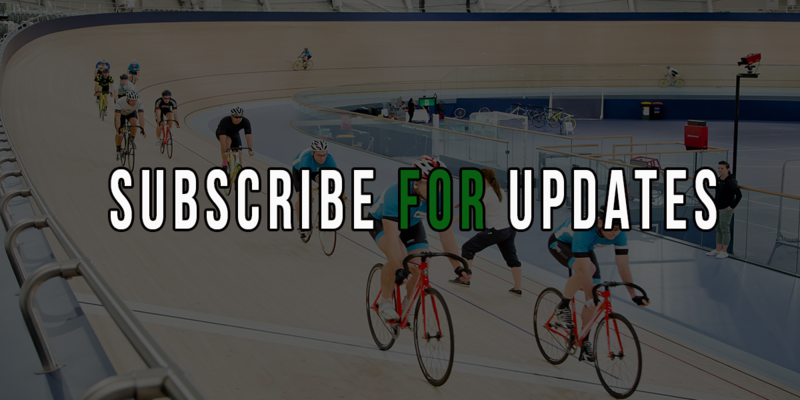 Monthly Track Cycling Academy Subscriptions automatically renew each month at the stated retail price until the subscription buyer notifies the company that they wish to cancel. Please refer to the Subscription Cancellations section above. Yearly Track Cycling Academy Subscribers will be notified via email prior to renewal with the option to renew at the original yearly price. If the subscriber does NOT notify the company that they wish to continue at the yearly price, the subscribers account will revert to the monthly price automatically. All businesses registered to an Australian address will have a 10% Goods and Services Tax included in the total price. THE TRACK CYCLING ACADEMY STREAM AND ALL CONTENT AND SOFTWARE ASSOCIATED THEREWITH, OR ANY OTHER FEATURES OR FUNCTIONALITIES ASSOCIATED WITH THE TRACK CYCLING ACADEMY LIVE STREAM, ARE PROVIDED “AS IS” AND “AS AVAILABLE” WITH ALL FAULTS AND WITHOUT WARRANTY OF ANY KIND. TRACK CYCLING ACADEMY DOES NOT GUARANTEE, REPRESENT, OR WARRANT THAT YOUR USE OF THE TRACK CYCLING ACADEMY LIVE STREAM WILL BE UNINTERRUPTED OR ERROR-FREE. Track Cycling Academy is not responsible for any problems or technical malfunction of any network or lines, computer online systems, servers, or providers, computer equipment, software, failure of any e-mail or redemption to be received by Track Cycling Academy on account of technical problems or traffic congestion online or on the Internet or at any Web site, or any combination thereof including any injury or damage to customer’s or any other person’s computer related to or resulting from downloading or streaming any materials consistent with this agreement or subsequent use of any Track Cycling Academy owned web properties. If, for any reason, the stream is not capable of running online as planned, including infection by computer virus, bugs, tampering, unauthorized intervention, fraud, technical failures, or any other causes beyond the control of Track Cycling Academy which threatens or corrupts or adversely affects the administration, security, fairness, integrity or proper conduct of a live stream offer, Track Cycling Academy, reserves the right, in its sole discretion, to cancel, terminate or suspend the offer and/or any subscription. ANY ATTEMPT BY YOU TO DELIBERATELY DAMAGE ANY WEB SITE OR UNDERMINE THE LEGITIMATE OPERATION OF THIS OFFER MAY BE A VIOLATION OF CRIMINAL AND CIVIL LAWS AND SHOULD SUCH AN ATTEMPT BE MADE, TRACK CYCLING ACADEMY WILL DISQUALIFY YOUR ATTEMPTED REDEMPTION AND RESERVES THE RIGHT TO SEEK DAMAGES FROM YOU TO THE FULLEST EXTENT PERMITTED BY LAW. You agree to provide accurate and complete information when you register with, and as you use, the Track Cycling Academy Services, and you agree to update your account information to keep it accurate and complete. You agree that Track Cycling Academy may store and use the information you provide for use in maintaining and billing fees to your Account. Track Cyclists of all levels and all ages are welcome here. We have community members of all skill and experience levels, from juniors to elite. Track Cyclists of all levels and all ages are welcome here. We have members of all skill and experience levels, from juniors to elite. Report posts that are breaking group policies. Due to the large amount of people in our groups and communities, it’s sometimes difficult for us to catch everything. If you see a post that is questionable, please report it, tag our community manager in the comments, or reach out to our community manger directly via private message so our team can review them. You agree that the Track Cycling Academy, including but not limited to Track Cycling Academy products and services, graphics, user interface, audio clips, video clips, editorial content, templates and the scripts and software used to implement Track Cycling Academy Services, contains proprietary information and material that is owned by Track Cycling Academy and/or its licensors, and is protected by applicable intellectual property and other laws, including but not limited to copyright. You agree that you will not use such proprietary information or materials in any way whatsoever except for use of the Track Cycling Academy Services in compliance with this Agreement. No portion of the Track Cycling Academy products or services may be reproduced in any form or by any means, without expressed written permission from Track Cycling Academy. You agree not to modify, rent, lease, loan, sell, distribute, or create derivative works based on the Track Cycling Academy Services in any manner, and you shall not exploit the Track Cycling Academy brand in any unauthorized way whatsoever, including, but not limited to, by trespass or burdening network capacity. Notwithstanding any other provision of this Agreement, Track Cycling Academy and its licensors reserve the right to change, suspend, remove, or disable access to any Track Cycling Academy products, content, or other materials comprising a part of the Track Cycling Academy brand at any time without notice. In no event will Track Cycling Academy be liable for making these changes. Track Cycling Academy may also impose limits on the use of or access to certain features or portions of Track Cycling Academy services, in any case and without notice or liability. All copyrights in and to Track Cycling Academy (including the compilation of content, postings, links to other Internet resources, and descriptions of those resources) and related software are owned by Track Cycling Academy and/or its licensors, who reserve all their rights in law and equity. THE USE OF THE SOFTWARE OR ANY PART OF TRACK CYCLING ACADEMY, EXCEPT FOR USE OF TRACK CYCLING ACADEMY AS PERMITTED IN THIS AGREEMENT, IS STRICTLY PROHIBITED AND INFRINGES ON THE INTELLECTUAL PROPERTY RIGHTS OF OTHERS AND MAY SUBJECT YOU TO CIVIL AND CRIMINAL PENALTIES, INCLUDING POSSIBLE MONETARY DAMAGES, FOR COPYRIGHT INFRINGEMENT. Track Cycling Academy, the Track Cycling Academy logo, other Track Cycling Academy trademarks, service marks, graphics, and logos used in connection with Track Cycling Academy are trademarks or registered trademarks of Track Cycling Academy Australia and/or other countries. Other trademarks, service marks, graphics, and logos used in connection with Track Cycling Academy Services may be the trademarks of their respective owners. You are granted no right or license with respect to any of the aforesaid trademarks and any use of such trademarks.